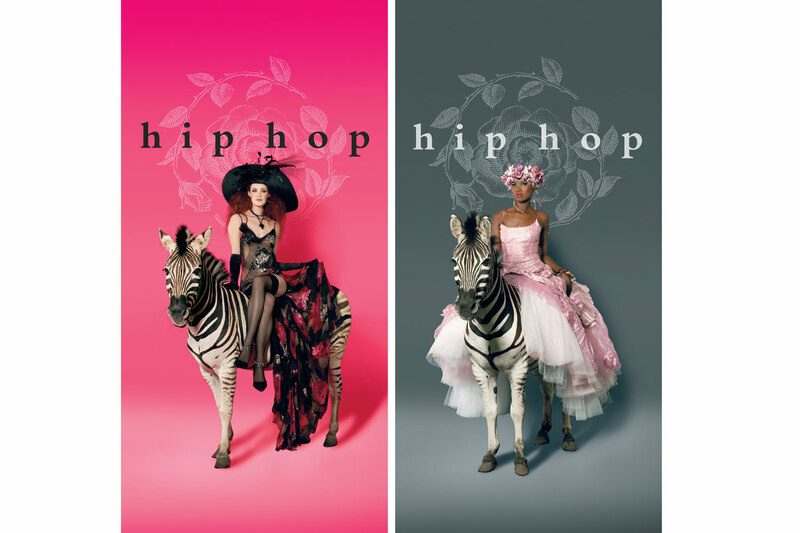 Elsabe Gelderblom and Kathy Page Wood designed a campaign for Hip Hop clothing, a small independent fashion brand specialising in women’s evening wear. The campaign was to showcase an iconic South African brand for “wild” and daring women. The images created were used in advertising and as window displays. Photography was done by Gerda Genis.